The European Union has another agenda and enlargement towards the Western Balkan countries is not among its priorities, especially of the member states, in spite of the indeed innovative attempts by the Commission to bring new energy into the process of reforms in this region, which Dr Dimitar Bechev calls periphery of the periphery of the EU. Dr Bechev is Director of the Sofia office of the European Council on Foreign Relations and he recently published a broad analysis of the challenges for the enlargement of the countries in the region. The analysis has a very provocative and in the same time precise title - The Periphery of the Periphery: the Western Balkans and the Eurocrisis. The author explained for euinside that he had chosen that title because 'the periphery of Europe' is the old nickname of the Western Balkans but in the same time it is a fact that the 'new' periphery is a centre for the Balkan countries where the banking sector consists mainly of Greek and Italian banks. According to Dr Bechev, the crisis in the eurozone and the EU at large poses a real risk for the European integration of the countries in the region for one very essential reason - the political elites in the region use the focus of the EU on its own problems to do nothing, apart from talking with well practised phrases about European integration. There is a very interesting element the analyst mentioned - Croatia, considered a good example in the EU and the region. According to Dimitar Bechev, however, the price of reforms there and also the political price - former Prime Minister Ivo Sanader facing justice - is a signal and a warning for the others in the region. 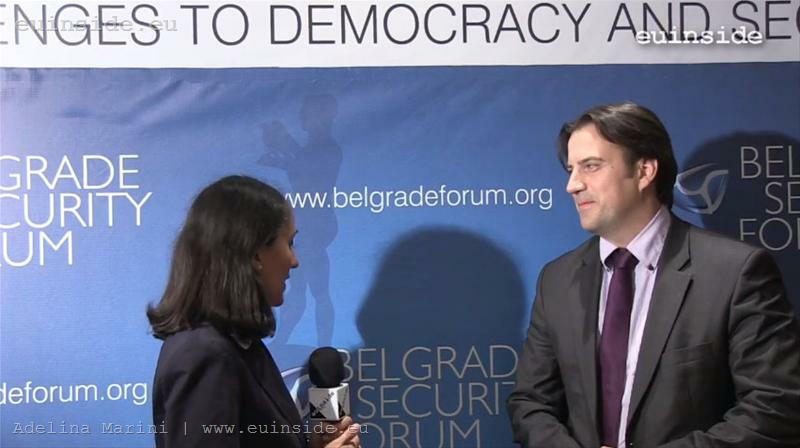 I met Mr Bechev in Belgrade last week where he took part in the Belgrade Security Forum and presented his analysis there. According to him, the choice of the place for our conversation on the issue about the European future of the Western Balkans, namely Serbia, was exceptionally appropriate because this is the key country for the region. Serbia is the biggest country of all in the region and probably it will set the trends. 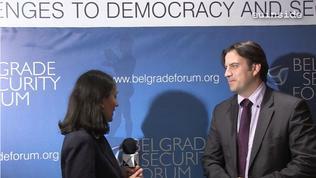 The main question, the analysts says, will be whether the country will be capable to move the reforms and Europeanisation agenda forward, which was a dominant question during the conference in Belgrade but for now the signals the government sends are mixed. Aside from the fact that the crisis leads to declining support for the euro-membership in the countries of the region, although it is still high, another challenge are EU's failures with some of its new member states - especially Hungary, Romania and Bulgaria. Dr Bechev is of the opinion that the EU needs success stories that the integration model works and leads to an increase of economic and political standards. And although the processes in these three countries are not being followed much closely in the Western Balkans, these problems undermine the main thesis of the EU, which is that the European integration leads to shortening of the distance between the peripheral countries and the developed democracies in Western Europe. Another 'bad' example, he said, is Greece. In this regard, I asked the analyst whether he approved the idea of the Polish Institute for International Relations the Visegrad Group to engage with the Western Balkans and to help them integrate better. He believes that the idea in general is good mainly because the enlargement process at the moment is entirely technical, that it lacks the political element - the support of the member states. He believes, though, that without the big member states, this will not work. And another thing - Dimitar Bechev cast a shadow of doubt over the brilliant example of Poland as the "miracle kid" of European integration. According to him, the economic situation at the moment in the country is not very positive which raised the question whether the Polish success story will go on. He said, though, that now is the time Poland to take advantage of what's left of its positive image and it is evident that the country is doing that. Alas, he is more or less a pessimist to what extent could Bulgaria and Romania serve as examples how not to do things because the two countries never had a good image in the countries of former Yugoslavia. You can watch the entire interview with Dr Bechev in the video.